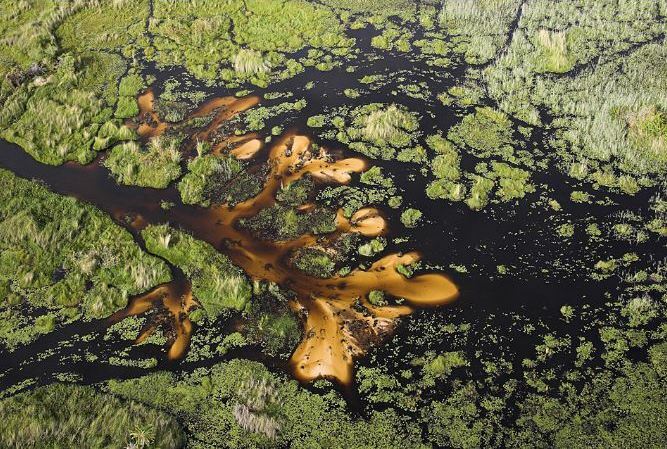 Best time to visit Okavango Delta for birding, photography, game viewing, etc.? 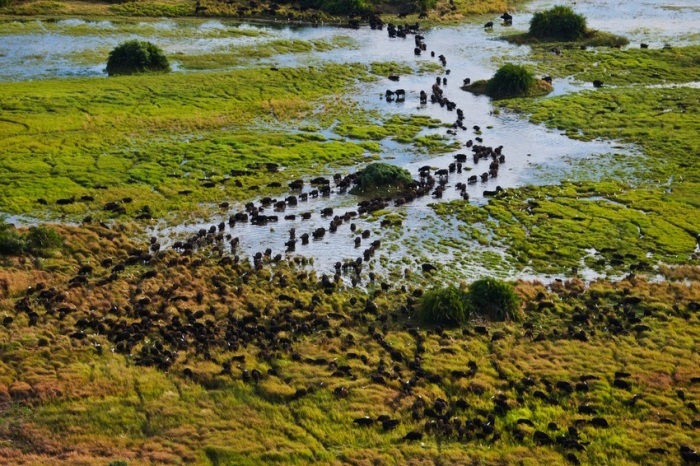 Botswana's climate is generally sunny and hot, but in the dry winter months, it is much more comfortable and it is when larger concentrations of game are seen as they search for water sources. 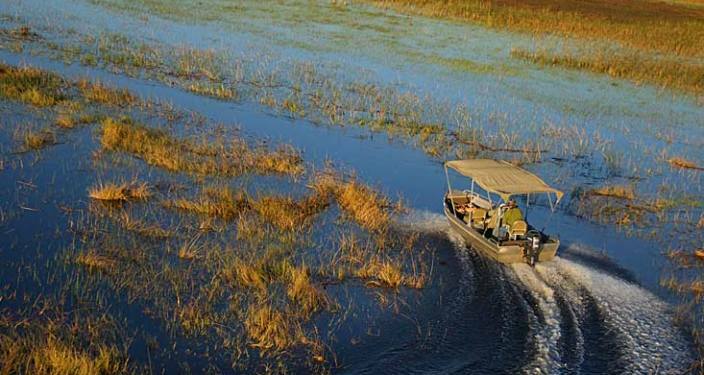 Although it really is a year-round safari area, the best time to visit the Okavango Delta is during the cool dry season of May to August. Seasonal flooding happens when the water from Angola reaches the delta between March and June, peaking in July. During this time, the plains game migrate from the dry outer areas to the delta in search of water. Daytime temperatures are usually below 30°C (86°F), but it does get cold after dark, sometimes very close to freezing. This is also the best time for boat cruises and makoro (canoe) trips. The hot and dry months of September to November are still great for game viewing as the animals still prefer the inner delta because it is where they find water. 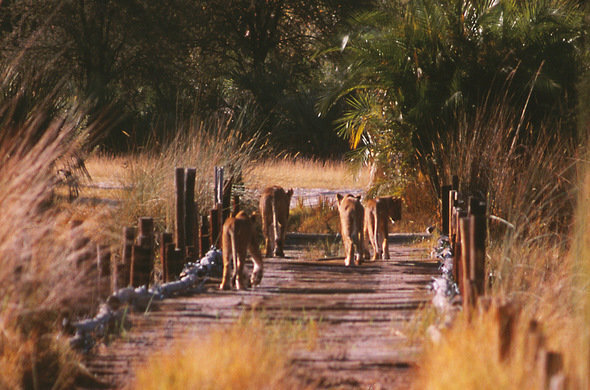 At this time, there are huge concentrations of wildlife, particularly around the Moremi Game Reserve. The months of November to February are the wet and hot season where it is hot during the day with temperatures reaching 35°C (95°F), and sometimes even 40°C (104°F). Rain comes in the form of afternoon thunderstorms, and the nights are generally warm. The humidity levels fluctuate between 50 and 80%. These summer months are the best time for birding, when the migrant species arrive, many of which breed within the Okavango Delta. The scenery is beautiful as the plants are in bloom and the plains game drop their young. The temperatures start to get more comfortable in March to around May when the land gets drier and nights get cooler (though not as cold as in the winter months). In March, the rains start to decrease, April has much fewer rain days and daily temperatures range from about 12°C and 28°C, and May is the start of the dry season where temperatures (especially night time) really start to drop.